In order to meet excellent quality standards, we are supplying Peruvian Groundcherry. Client MIS (Maritime Industrial Services) provides a broad range of products and services to the oil, gas and energy sector. MIS was established in Dubai, UAE in 1979. 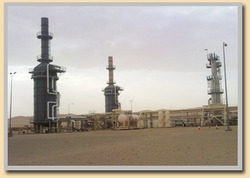 Customer Hunt Oil is one of the largest privately held companies in the United States. We are amongst the most reputed names in the industry, offering Peruvian Groundcherry. We are a top notch supplier of Peruvian Groundcherry. Banking on our enriched industry experience, we are able to supply Peruvian Groundcherry. We offer high quality Peruvian Groundcherry. We are a top-notch organization, engaged in providing Peruvian Groundcherry. 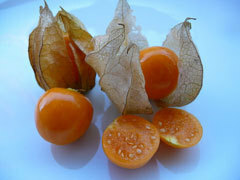 Golden berries are small, round, bright yellow fruits which can be extremely sweet when ripe. while these are mainly found in the USA, they are also available in markets from venezuela to chile. These small, marble sized fruits grow within a protective paper-like husk that looks strikingly similar to a chinese lantern. We are leading provider of Peruvian Groundcherry Fruits in India. We are leading provider of rasbhari for jam manufacturer and for fruits traders in whole sale market of fresh fruits.